Last week when I was home in New England we had a very ladylike lunch at the Ocean House in Westerly, Rhode Island. 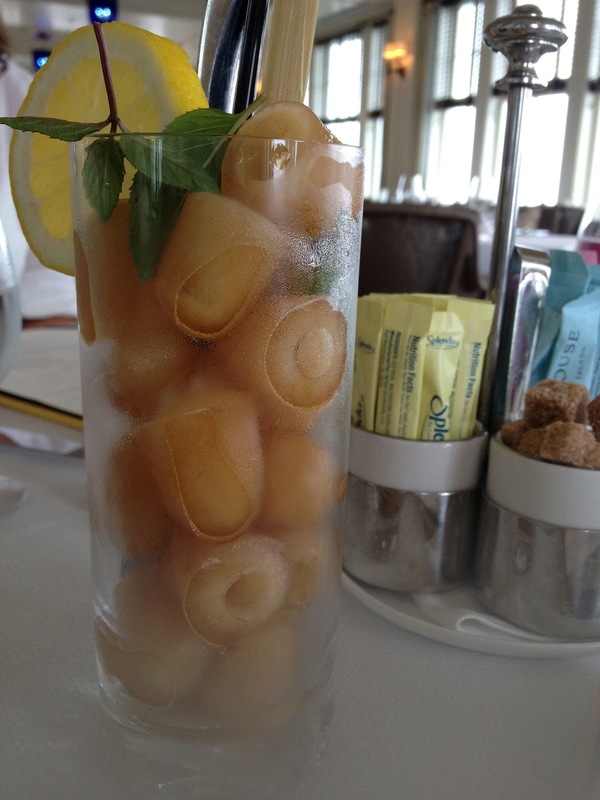 When I ordered iced tea, this is what they brought. How lovely is that? We all oooh'd when the server brought out the tray of iced teas. I loved that the restaurant used ice cubes made of tea and added mint, a slice of lemon and a stick of sugar cane to the glass. While my sister-in-law Sue and the girls and I enjoyed a lazy lunch I thought how easy it would be to prepare something as lovely at home. I love limes. 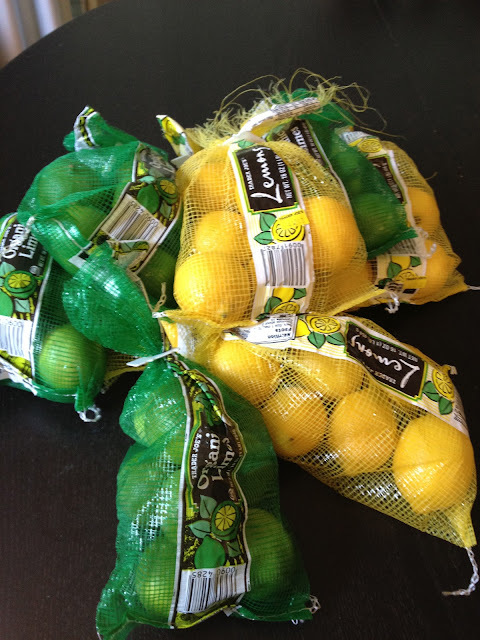 I love lemon. I have a problem. This is what I came home with earlier this week from my short stop at Trader Joe's. So I decided to make my favorite summer drink--limeade with a twist-watermelon. 1. Cut watermelon into cubes (1 cup) and place in a single layer on a tray (Easy method: buy watermelon already cubed in your produce department) Freeze for at least 1 hour. 2. Squeeze 9 limes (approximately 1 cup depending on the size of the limes). 3. In a glass, fill with frozen watermelon cubes and add 1/3 cup of fresh squeezed lime juice and 1/3 cup of sparkling water. Sweeten to taste with simple syrup (recipe here) or superfine sugar. Now go sit outside and ponder how wonderful later summer is.